What a beautiful weekend it was! We had a little fog, but for the most part, it really did feel like springtime. 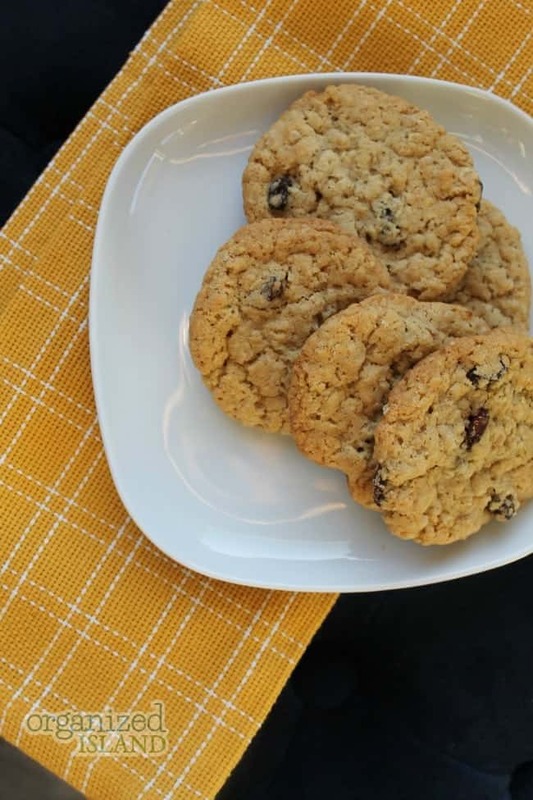 I did some springtime crafting and I also made some delicious chewy oatmeal raisin cookies, so today I am sharing my best oatmeal raisin cookie recipe. 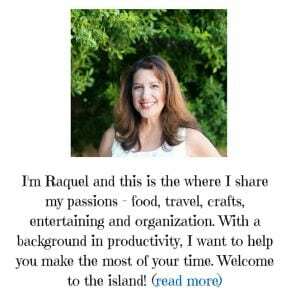 It is an adaptation from a few recipes, changing up the recipe over the years is the best way to make your favorites. These cookies stay fresh for a while and are so good any time of day. 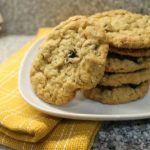 This oatmeal raisin cookie recipe with quick oats can be put together easily and you the cookies freeze well too after baking. It is one of my husband’s favorite cookie recipe. In a large bowl, cream butter, sugars and vanilla until well blended. In another bowl, combine flour, salt, baking soda, baking powder, and cinnamon. Drop by rounded teaspoons about 2" apart on a greased cookie sheet. Bake 12 - 13 minutes in 350 degree oven until light brown. This weekend we went to our first festival of the season in our new city. It was a lovely day to be outside near the water. We went to a farmers market and found some great spring offerings. I also did some crafting with my mother and I took her some of these cookies in a basket. Oatmeal raisin bars – Press dough into ungreased 13″ x 9″ baking pan. Bake 25 – 30 minutes or until golden brown. Cool before cutting into squares. 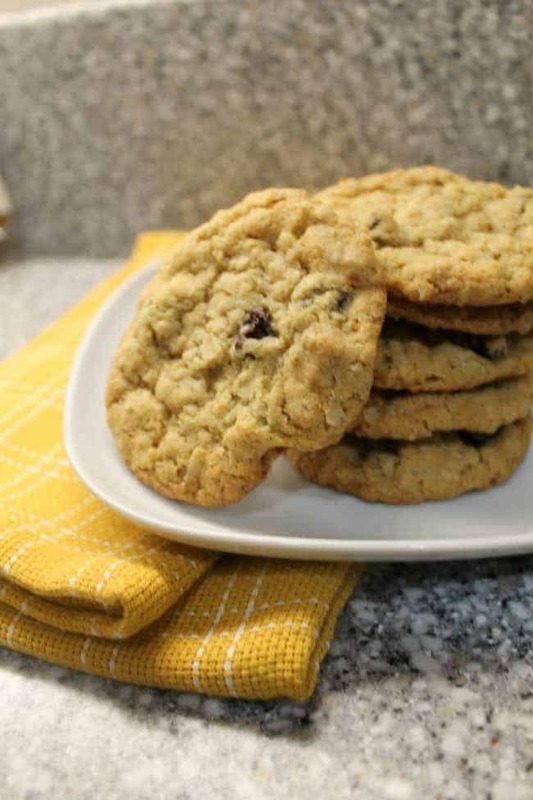 Oatmeal raisin pecan cookies – add 1/2 cup chopped pecans to the batter before baking. While I don’t care for raisins, you may make a believer out of me! Looks so soft and chewy! My kids feel the same way. You can totally leave them out and they still taste great! I like your thinking Ashley! 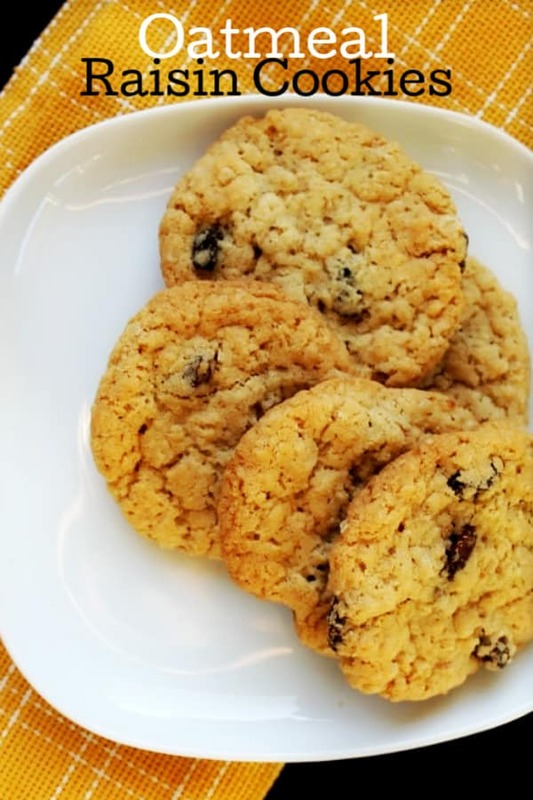 My daughter just told me she loves the oatmeal and raisin cookies we had at church the other day, so I think I need to make them at home! Thanks for the recipe! What is the oven temp?